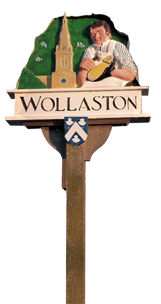 Following the resignation of Bernard Rooney, there is now a Councillor vacancy available on Wollaston Parish Council. If you would be interested in getting involved in the community by becoming a Parish Councillor please complete the form ( Application for Parish Council co-option ). We are hoping to be able to make a decision at the February meeting so completed forms need to be returned by 18th February. If you would like to have a chat about what might be involved, contact one of the existing Parish Councillors or speak with the Clerk. Please make sure you are eligible to apply, apart from that enthusiasm, common sense and a passion for where we live are the main criteria (and being available for monthly meetings on the third Thursday of each month from 7pm). As a Councillor representing your community you will help keep it a great place to live and work. You will be supported in your role and will be expected to undertake training. You should be comfortable working electronically, have a positive outlook and a can-do attitude and be willing to work as part of a team. A sense of humour is important too.